In 2011, a man known as B.V. started a project that would eventually become Paimonia. In 2013, a drummer was recruited, making this a two man band of destruction. 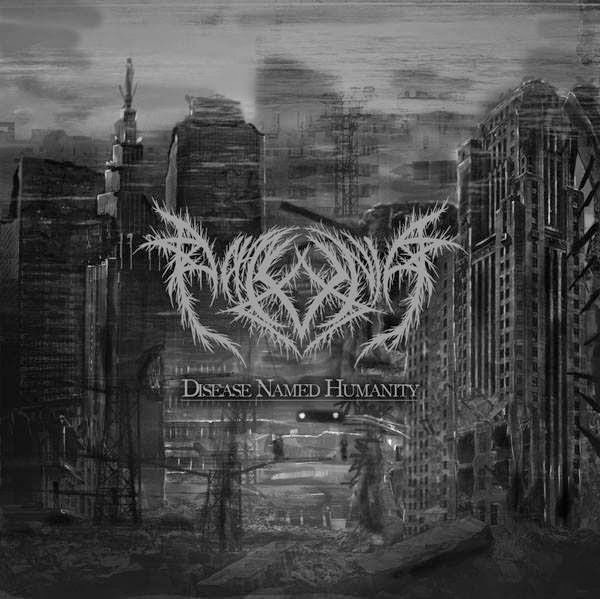 That same year, Paimonia gave birth to their first full length album, Disease Named Humanity. Hanging around 40 minutes in length, Disease Named Humanity is a dark, angry, and violent release with touches of happiness thrown in. If you have delved into black metal history just a tiny bit, chances are you have heard of a band named Dissection. Dissection was a unique black metal band that played a version of black metal with death metal overtones. Paimonia reminds me of old school Dissection a lot! The black metal is evident in every track and if you weren’t listening closely, you’d claim that this is typical black metal but it is so much more. There are elements of death metal scattered throughout and while the two genres are quite close, they have some major differences that set them apart, some of which can be heard within Disease Named Humanity. First off, the drumming does not stick to a typical black metal pattern. Paimonia utilizes death metal patterns while drumming to change up the style a little bit. It isn’t a radical difference and it might go un-noticed sometimes. The sound of the drums throughout the album is quite astounding. The cymbals stick out and accent the other parts of the kit quite well. The kick and snare are extremely powerful and driving. The guitar tone is quite unique and mystifying. Describing what I mean is tough, but within 30 seconds you can hear what I am talking about. Looking past that, the guitar player is extremely skilled. The acoustic passages that occasionally introduce the next track are well written and well executed. The use of harmonics along with the acoustic melody is an interesting touch, one that is not heard so often especially in metal. The vocals are very strong and assertive. The nice part about them is that they lay back and let the music speak for itself a lot. They are not overpowering or in the way of anything else, leaving the music to shine along with the vocals. A lot of bands don’t have the skills or experience to pull off such an excellent first full length record, but Paimonia sure did it! They came out of the gate swinging and have set the bar high for themselves. Who knows what the future holds for Paimonia, but if it is more of what we heard in Disease Named Humanity, I would be more than pleased.